Dymo 30347 Book Spine Label 1" x 1-1/2"
This labels is compatible with all Dymo and CoStar LabelWriters. 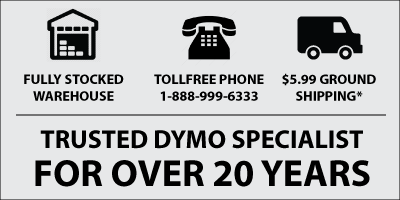 These Dymo Book Spine labels are manufactured by Dymo, so your warranty is safe. They are compatible with all Dymo LabelWriter models and all CoStar LabelWriter printers. This list shows all the current and older LW models this label is compatible with. Any questions, call us or email us.